SECOORA and the National Oceanic and Atmospheric Administration’s Ocean Acidification Program facilitated the formation of the Southeast Ocean and Coastal Acidification Network (SOCAN) to support and encourage discussions on ocean and coastal acidification in the Southeast region. SOCAN will enhance collaborations and communications throughout the region about ocean and coastal acidification regional drivers; approaches to monitoring; state-of- the science; and vulnerable species and ecosystems, among other concerns. Click here to learn more. SOCAN is hosting a state-of-the-science webinar series on ocean acidification. The SOCAN Steering Committee will use information learned from the webinars to develop a state-of-the-science white paper on ocean acidification in the southeast. Webinars will be hosted approximately every two weeks at 12pm ET starting Tuesday March 10. Each webinar will be recorded and posted here. Save date for SOCAN’s first webinar, Tuesday March 10, 12pm ET. It is titled "A Far-field View of Ocean Acidification in the South Atlantic Bight" presented by Rik Wanninkhof, NOAA/AOML, Miami. Ocean acidification (OA) is a global phenomena with regional impacts that will get increasingly worse with time based on projected increases in atmospheric CO2 levels. In this presentation the factors influencing OA in the South Atlantic Bight (SAB) will be discussed with a focus on offshore effects including those caused by changes in water mass characteristics and currents. 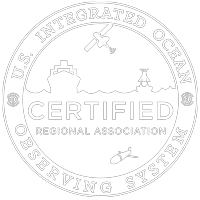 Two coastal cruises, measurements on ships of opportunity, and mooring observations sponsored by the NOAA Ocean Acidification Program are used to describe and attribute the ocean acidification patterns in the SAB.